Ah, Thanksgiving... pie, football, endless questions from relatives about your love life... or even the familiar feeling of wishing you had worn stretch pants to dinner. 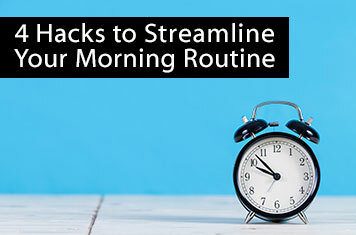 4 Hacks to Streamline Your Morning Routine & Get Out the Door Faster! Waking up is hard to do! We set our alarms with the best of intentions, only to get up 40 minutes later after hitting snooze seven times before realizing what time it is. Then comes the stress of finding something to wear (which hopefully doesn’t require ironing! ), packing food for the day, and preparing for that dreaded commute to work. Small business owners do everything from marketing to accounting to finance. 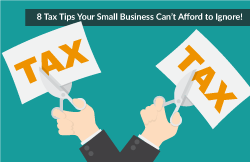 With so much resting on the shoulders of these small business owners, who has time for taxes? These eight tips are sure to save your small business time AND money! 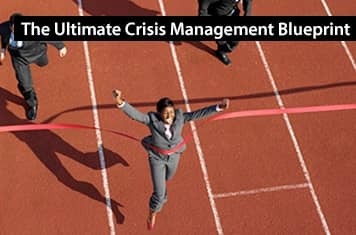 The Pomodoro Technique is a technique designed to bolster productivity in a way that won’t leave you exhausted and cuddling the coffee pot in the break room. Most people can only work for so long before walls pop up and obstacles combine in the mind and create anxiety. The Pomodoro Technique allows you to come up for air and keep a clear head by prioritizing natural human behavior and health. Original post (text and infographic) courtesy of Quill.com. 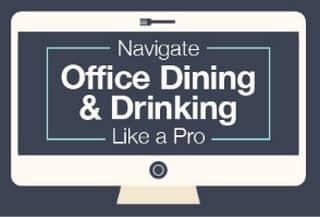 In a country where only one in three workers take a lunch break (away from their desks) it’s easy to forget basic dining etiquette when on the job. It’s even easier to forget how to carry ourselves at happy hours or out of office meals with the team in a work culture where socialization and work-life balance often go to the wayside. 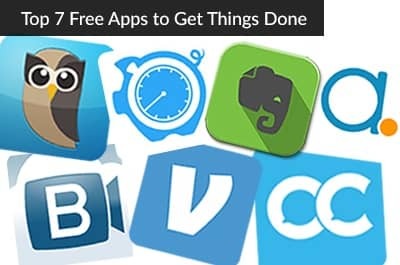 Business #Hacks- The 7 Best GTD Smartphone Apps! At AdvantEdge, we’re constantly exploring innovative ways to manage our schedule and organize our day. While we used to be confined to the tools that could physically fit on a desk (your rolodex, your calendar, your calculator, your mimeograph), the technological revolution utterly changed the way we work. The right tool makes every task easier so hacking your workday is as simple as equipping yourself with the tools you need to succeed. The following smartphone apps are guaranteed to fix any persisting problems plaguing your office life. Plus, as an added bonus, they’re all free!